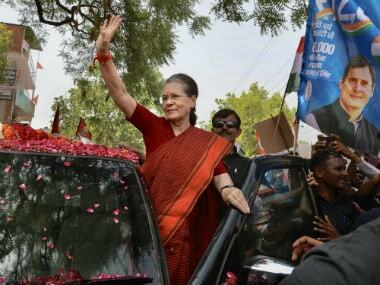 Former Congress president Sonia Gandhi on Thursday took a leaf out of Prime Minister Narendra Modi’s 2014 campaign: dominate airtime of televisions news channels, grab prominent space in digital and social media by holding a roadshow while filing nomination on a day when part of the country is going to the polls in multi-phase elections. The idea is to leave a last-minute impression when the voter is out to vote and hope that it would benefit prospects of his or her party. The last date for filing nomination papers for Raebareli and Amethi is 18 April. 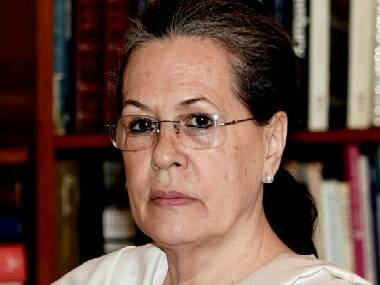 Sonia — accompanied with son and party president Rahul Gandhi, daughter and party general secretary Priyanka Gandhi Vadra, and son-in-law Robert Vadra — first took part in a hawan at the local Congress office and then proceeded for a roadshow in a heavily guarded bulletproof vehicle. Though it’s a fact that Sonia does not face any real challenge from BJP in Raebareli, the problem for Congress lay elsewhere. If the idea was to make her file nomination papers and have pictures of her roadshow and show how people were expressing their enthusiasm for her and Congress on a day when 91 constituencies were going for polls, it couldn’t really have succeeded. The size of the crowd following Sonia’s roadshow was good, but was not the kind that would have made Congress leaders happy. The men in khakhi, security personnel from the state police and central paramilitary force guarding three SPG protectees Sonia, Rahul and Priyanka were seen in large numbers. In fact, in terms of strength of the crowd, Rahul's roadshow in Amethi was far better than Sonia’s roadshow. But then, in Amethi, Congress had left no stone unturned to make that roadshow a success, because the Congress president is facing a tough challenge there from BJP’s candidate Smriti Irani. Back on 24 April, 2014, Modi had stirred the Indian political landscape by holding a 12-kilometre roadshow before filing nomination papers. 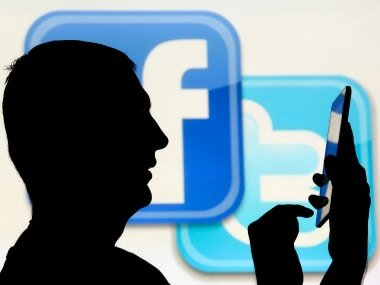 The event was beamed live by all television news channels for the better part of the day. The Congress, then the ruling party at the Centre, and several other parties, which were then Congress allies, had taken serious exception to it. Some had even complained to the Election Commission. Five years down the line, Congress is using the same strategy but the two situations in terms of crowd response and its impact are not comparable. The optics of grand roadshow organised by the Congress in Amethi for party chief Rahul filing his nomination papers inadvertently gave credence to BJP’s charge that for the principal Opposition party, what matters most is the perpetuation of dynastic 'family first’ concept. In both the roadshows, Congress — besides its tricolour flag — widely used blue, red and yellow flags to give an impression of the wide-ranging support it had. 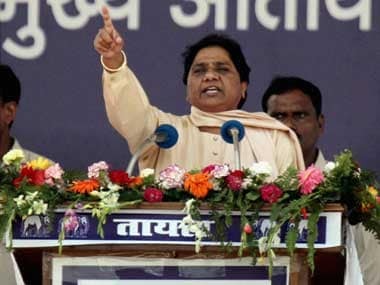 Since blue flags are otherwise associated with Mayawati’s BSP, red and green with Samajwadi Party, green with parties such as RLD, and some others which claim to have a greater support base among Muslim community, one could confuse them from a distance. But that’s a smart strategy. Blue flags used in the roadshow were for Rahul Gandhi's Nyay scheme. BJP had a counter-strategy to Sonia’s road show. Around the time Sonia with all her family members began hawan and roadshow, Irani too began her hawan and roadshow along with Uttar Pradesh chief minister Yogi Adityanath. The idea was to not allow Sonia and Congress go unchallenged on broadcast media’s airtime. Sonia's roadshow finished shortly after covering a small distance but Irani and Adityanath's roadshow continued for another half an hour or more, giving them some extra mileage in terms of television views. Interestingly, Modi has changed his strategy this time. 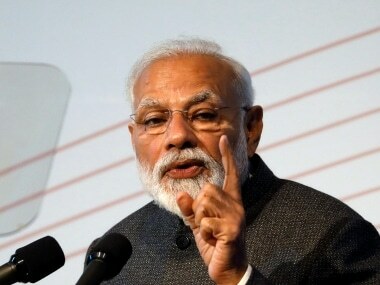 He would be holding a roadshow and filing his nomination in Varanasi on 26 April, three days after the third phase of polling and three days ahead of the fourth phase.